It appears My Advertising Pays MAPS for short has not been paying their affiliates for over a week and it is not looking good. From around August 31st members have not been paid their return on investment (ROI) and many members are starting to freak out and we don’t blame them. It is now being said that their office in the UK is up for sale which does not really mean anything if they were paying out what they owe. We originally wrote a review of MAPS . Although at the time we thought it looked alright we have now changed our mind and would not recommend this MAPS program to anyone. If you are a member please let us know if you have been paid. Click here to discover our secret weapon! P.S. Do you want to see how we made $14,000.00 Dollars In One Month? We are Charles & Susan Truett from East Tennessee in The Smoky Mountains. We have been online marketers for about ten years. We like connecting and helping folks so feel free to connect with us. Thank you for visiting. Never trusted them from the beginning. Same scam like many revshares. Paying with the money from new investors. 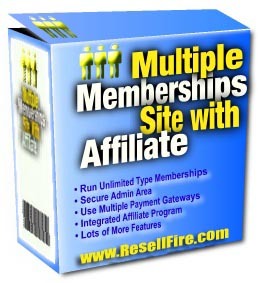 Many members are afraid to join revsharesprograms because of the problems with Traffic Monsoon. Traffic Monsoon was shut down, correct? Lot of folks are gonna lose a lot of money. Hi I am a member and its absolutely true.The biggest problem for me is that they don’t come back to you so that means only one thing they took the members money and run. Yea it looks like this one is about to crash and burn. Lot of folks will be hurt if it goes under.